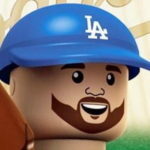 On this episode of Dugout Blues, before Jared and I are talk about the (kinda) struggling Dodgers before getting interrupted by some rather significant non-baseball news. The Dodgers split a 4-game series with the Cubs before dropping 2-of-3 to the Rockies. It may have been a worse week if not for Matt Kemp‘s heroics on Sunday afternoon. Clayton Kershaw made his second start since coming off the disabled list. He was solid. Backing him up was Walker Buehler, which was … questionable. Instead of going out on a rehab start, the Dodgers opted to have that rehab outing come against one of the best teams in the National League. It was a disaster, as he allowed five runs in 1+ innings. He was optioned to High-A Rancho Cucamonga after the game and will actually start there today. I get the Dodgers wanting to try new things and such, but it’s probably best not to mess around with your future ace and one of the most talented arms in the farm system. The offense and pitching both had up-and-down weeks, which happens over the course of a season. A couple of encouraging starts came from Kenta Maeda and Alex Wood. Both went seven innings in their most recent outings. Rich Hill struck out 10 in 6 2/3 innings against the Rockies, which may have been the most encouraging of all. Ross Stripling went six innings against the Rockies, but he did give up four runs. We knew he wasn’t going to be a sub-2 ERA guy, so the regression isn’t too concerning. In the minors, Rylan Bannon continued to hit well. He needs to be moved up to Double-A, but there’s not a lot of room for him at present. Still, he has proven he’s too good for A-ball and needs to be tested. Gavin Lux returned from the DL and hasn’t skipped a beat. Will Smith had another solid week, while guys like Ronny Brito, Tony Gonsolin and James Marinan are performing well, too. Jeren Kendall, however, isn’t. He’s struggling in High-A and not only needs another swing retooling, but if he doesn’t improve markedly over the last couple months of the MiLB season, he could find himself back in Rancho Cucamonga to start 2019. We also touch on the July 2 signings, which I recapped here yesterday and will in the post following this one. Diego Cartaya, Jerming Rosario and Alex De Jesus were the biggest gets on Day 1. They’re all 16, so don’t expect to see them anywhere near the majors for at least the next half-decade (if ever). I can’t recall if it’s here or during the Q&A, but we get interrupted by the LeBron James-to-the-Lakers news. Jared’s reaction was pretty priceless. I thought he was just putting me on, but he was genuine in what he was saying. Anyhoo, it’s worth a listen, even if you don’t care for the basketball. We wrap up the Q&A with some good ones. Please keep them coming.